Florin Elisei moved all in with :::9c:::3c from the small blind and big blind Anton Vinokurov called with :::Ts:::Th. The board ran out :::4s:::9h:::Ks:::2c:::7h and Elisei was eliminated from the 2018 Unibet Open Bucharest Main Event. 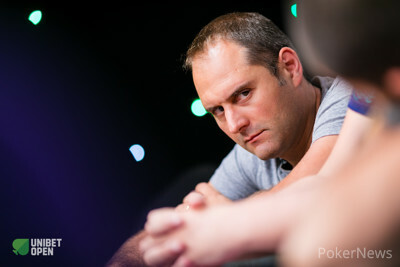 Elisei got to collect €32,720 at the payout desk for his 4th place finish.